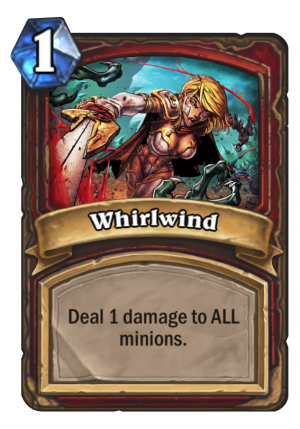 Whirlwind is a 1 Mana Cost Free Warrior Spell card from the Basic set! The way to tell seasoned warriors from novice ones: the novices yell "wheeeee" while whirlwinding. Rating: 3.5/5. From 98 votes.